Dignicap is an industry-leading FDA approved scalp cooling system, developed by Swedish company Dignitana. Designed for use during chemotherapy, the cooling systems operates by cooling the scalp to 5 degrees centigrade. This causes capillaries in the scalp to constrict, reducing the amount of chemotherapy drugs reaching the follicles which can lead to a significant reduction in hairloss experienced by patients. 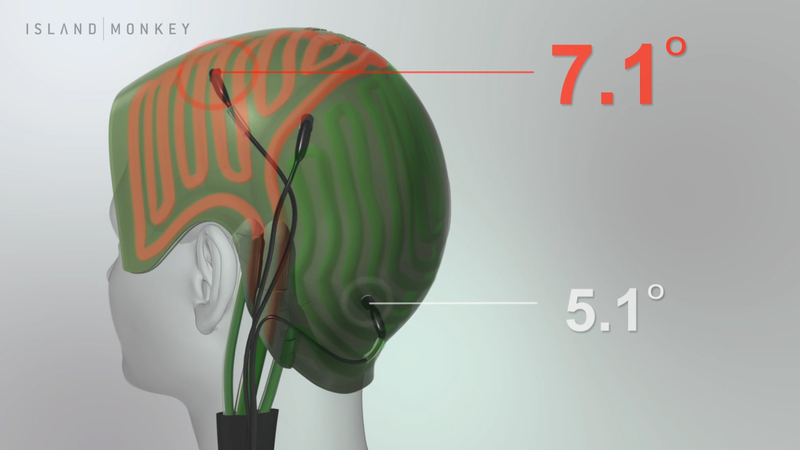 The Dignicap has 2 distinct cooling circuits that are independently monitored by temperature sensors to make sure the scalp can remain uniformly cooled. If the temperature in either circuit rises above a threshold, new coolant is pumped into the circuit.